Utah is a great place to get out to explore and hike. 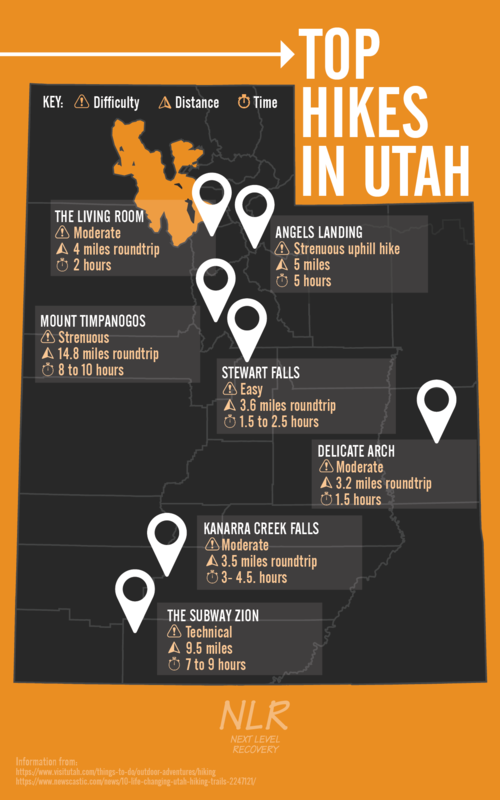 From easy half-mile hikes to strenuous 14-mile hikes, Utah has everything in between. Hiking is a good form of outdoor therapy for those recovering from drug addiction. Being in nature can help form connections with the world and other people. Travel down South to see some beautiful red rock and the famous Delicate Arch, or find a beautiful view of the Salt Lake Valley. It is summer time and the perfect time to hike. Grab a friend and get outside to experience the beautiful landscape of Utah!